"Isn't that what the American Dream's all about?" Sony Pictures has released a teaser trailer for Superfly, a "remake" of the 1972 blaxploitation film Super Fly, about a cocaine dealer Priest who wants to score one more super deal and retire. This reimagining is from Director X, and stars Trevor Jackson (of "Grown-ish", "Burning Sands") as Youngblood Priest, this time operating in Atlanta. Not everyone may be familiar with the original, but this seems like a slick film to update for today, and the footage looks great. Superfly also stars Jason Mitchell, Michael Kenneth Williams, Lex Scott Davis, Andrea Londo, Jennifer Morrison, Rick Ross, Big Boi, and Big Bank Black. Watch the teaser below and tell us your thoughts. Superfly – the film that helped define a genre in its characters, look, sound, and feel – is reimagined with Director X, director of legendary music videos (Drake, Rihanna), introducing it to a new generation. A remake of the 1972 blaxploitation film Super Fly - the daily routine of cocaine dealer Priest who wants to score one more super deal and retire. 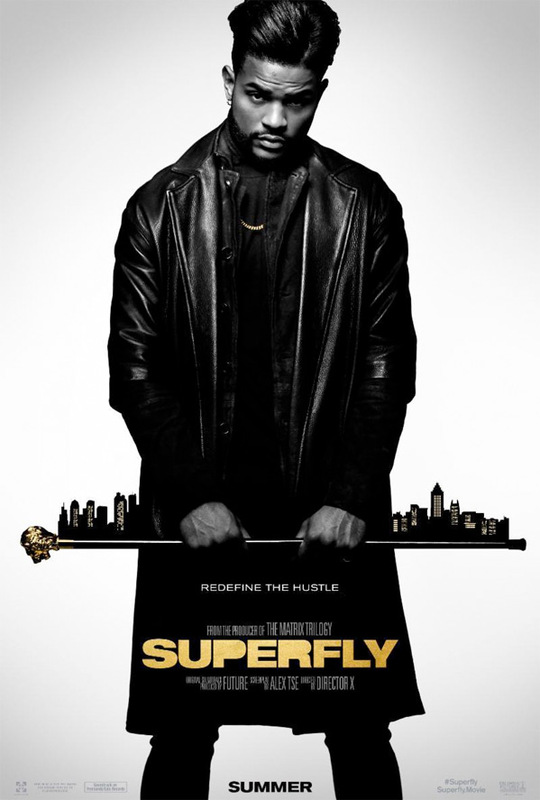 Superfly is directed by a Canadian filmmaker known as Director X (formerly known as Little X), a music video director who made his feature directorial debut in 2015 with the film Across the Line previously. The screenplay is written by Alex Tse. Sony Pictures will release Director X's new Superfly in theaters starting on June 15th this summer. First impression? Who's wants to see it?